Monster Hunter World is almost upon us and honestly, these few weeks just couldn’t get by any slower. 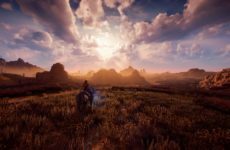 The trailers have done a great job showing us what to expect and the slew of demos have given us a solid grasp of the game’s mechanics. 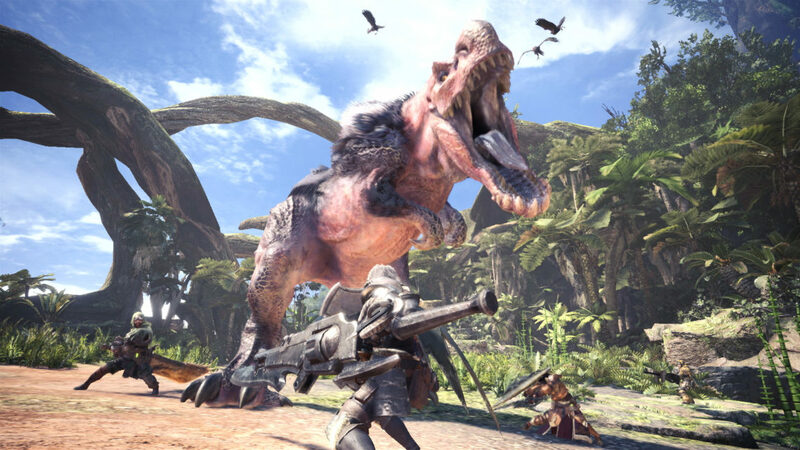 Though initially showing off a whole lot of new Monsters with only a scarce few oldies, Capcom has recently drawn the curtains back a little bit further and revealed that many more fan favourites are indeed returning in this new game; with Teostra, Kushala Daora and even Deviljho returning with the latter in the form of free DLC. Rumours and leaks also suggest that Kirin and Rajang are returning, though this has not yet been officially announced. Honestly, the amount of new monsters this time is truly impressive, but they obviously don’t fill the standard quota for a Monster Hunter game. 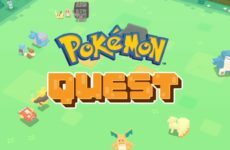 As such there’ll likely be a lot of old monsters brought back, and we’re gonna list down the ones we want to see return the most with a shiny new coat of pixels! You can’t go wrong with the classics, and the Tigrex is certainly a great classic. Though initially having rather questionable hitboxes in Monster Hunter Freedom 2, the Tigrex has since been refined and is now just damn fun to play against. With its immensely painful roars and relentless brute charging, Tigrex is one of the best examples of a predictable monster that will take no prisoners if you go in unprepared. Plus considering its natural habitat is pretty much anywhere with food, it’ll fit in perfectly with all the biomes we’ve seen so far in Monster Hunter World. Nimble, ferocious and just plain cool, the Zinogre would be great to see return in Monster Hunter World. This monster has always been amazing at teaching players the many quirks of battle in Monster Hunter; how it chains its attacks based on its subtle telegraphing, how players can interrupt its charging, how you can even catch bugs off its back, the Zinogre teaches players to be technical and always adapt to whatever the game throws at you. 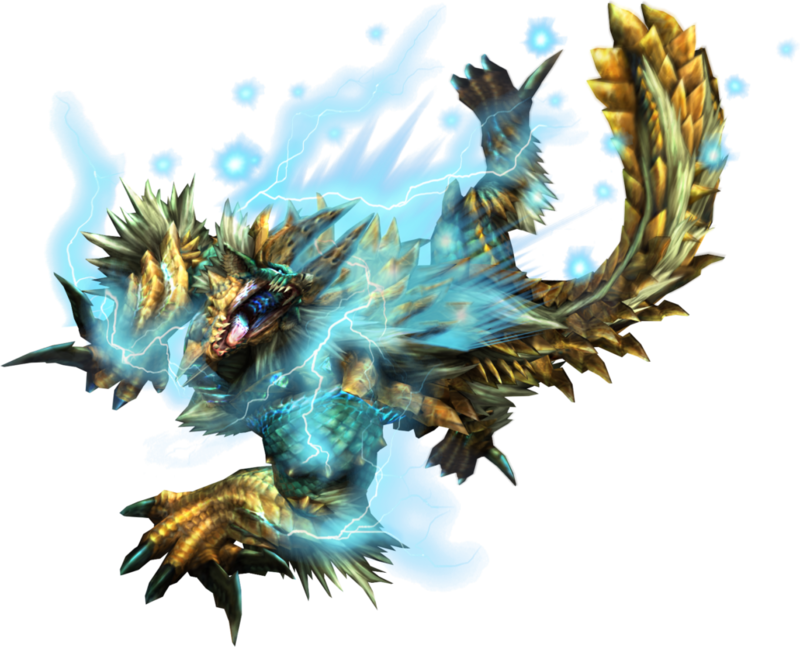 Considering Monster Hunter World will be on more powerful hardware this time, the Zinogre would also be a great opportunity to show off some flashy particle effects. There’s no doubt about it; great design, interesting mechanics and one hell of a kickass theme song that comes with it, it would be a shame if the Zinogre was a no show in Monster Hunter World. 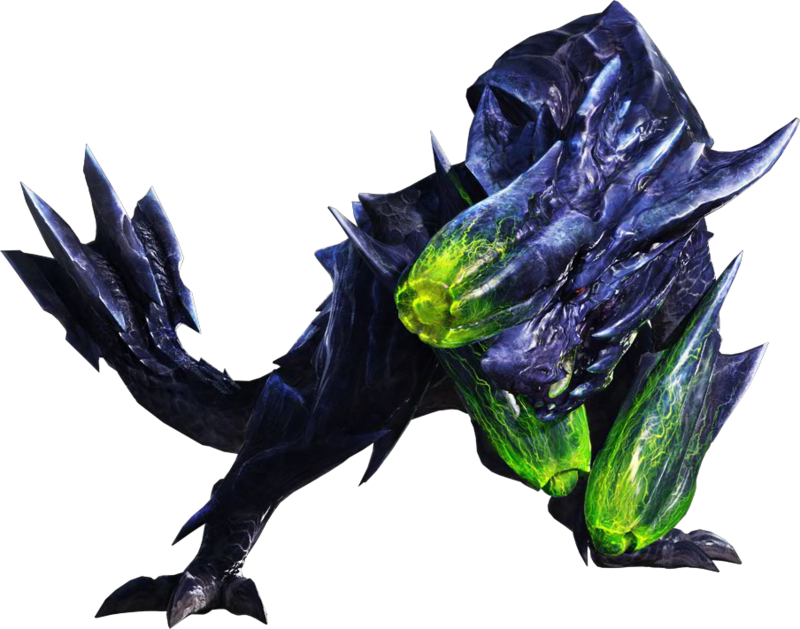 Another monster that comes packing its own theme song as well as its own unique gimmick, the Brachydios is one of the stronger monsters on this list that can still pose a threat to even the most experienced hunters. Should Monster Hunter World sport its own volcanic biome (which judging by trailer shots, it should), the Brachydios would fit perfectly there as it usually makes its home in lava-filled locales. Back when it was first let loose in Monster Hunter 3 Ultimate, the Brachydios was a truly powerful adversary that granted those who beat it powerful weapons; too powerful in fact, to the point where many players claim it broke the game. Things have since been balanced in the newer games, but that still doesn’t stop Brachydios equipment from being some of the best ones in current games. Equipment talk aside, the Brachydios makes for great fights every time as it always forces players to scramble and stay on their toes throughout the fight lest they meet an explosive end. “What Lovecraftian horror is this? !” I hear you ask. 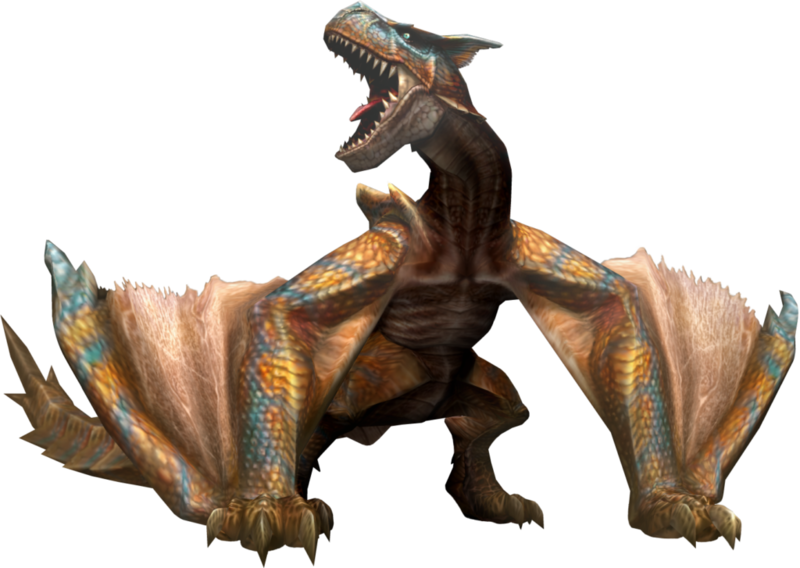 Indeed some Monster Hunter fans may not even know this monster even exists, and that’s probably due to the fact that it hasn’t been seen in any of the main series games since Monster Hunter Freedom Unite back in 2009. Sure it technically is still seen in the Monster Hunter online games, but those are Japan exclusive. 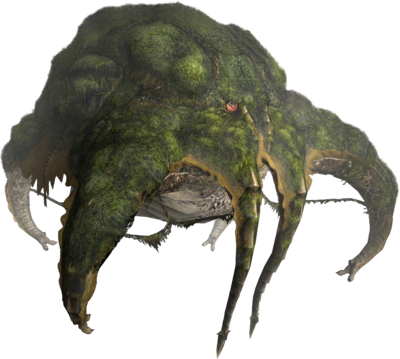 This giant, forested octopus may also be mostly forgotten due to the fact that back in the day, it just wasn’t very fun to fight. It was slow with very easily evadable attacks, and even if you did get hit, you’d have so much time to recover that it just made the challenge non-existent. Combined with the fact that it had a whole ton of health, and it essentially meant the “fight” just boiled down to a half hour of beating a piñata that occasionally tries to hit you back. Which is why it would be great to have it back; why waste such an intriguing monster design when you now have the technology to really make it stand out? Add some new attacks, some new mechanics, spruce up the foliage on its huge body and you’ll probably have a pretty damn epic fight on your hands that players won’t soon forget. Make this thing deserve the title of Elder Dragon. And all hunters across the land collectively sigh. That’s right; we kinda want the Rajang to show up in Monster Hunter World too. To put into context for the uninitiated, the Rajang is tough, like crazy tough, to the point where it’s almost a meme amongst players in terms of how brutal it is. Its shrill, blood-curdling roar acts like an alarm, letting any who dare challenge it know the world of hurt they’re about to be put through. It’s fast, relentless and becomes even more so when enraged. Now after saying all that, why the hell would we want this crazy creature back? Well that’s because it is one of the best final tests for any hunter in the game. The Rajang puts everything players have learned throughout Monster Hunter to the test; reaction time, positioning, timing, skill and teamwork – all will be tested in the face of this beast. 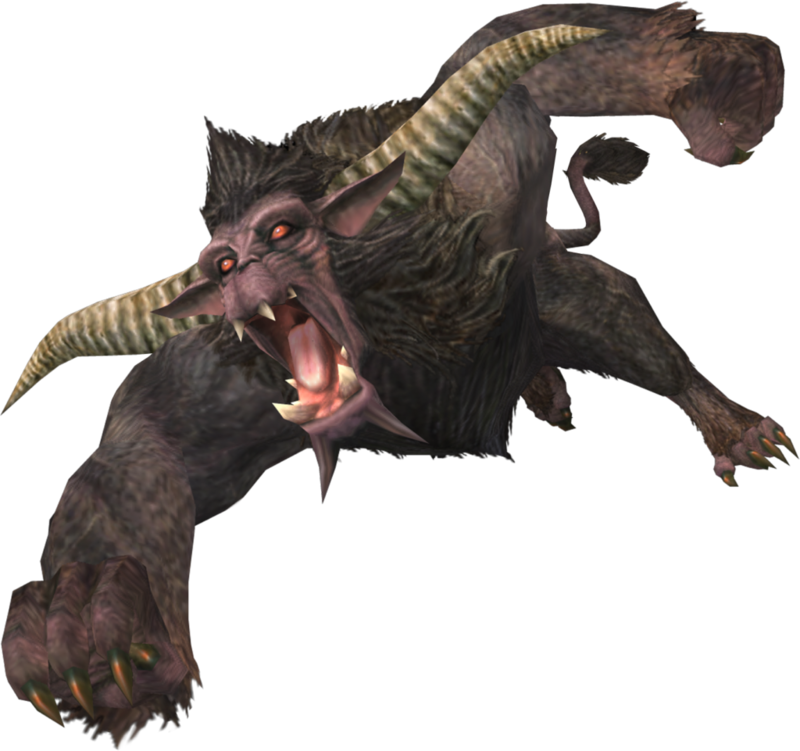 The Rajang itself has relatively low health in comparison to other monsters, meaning players who hunt well can end their fights relatively fast. The Rajang essentially encompasses the very core of what makes Monster Hunter great, it is a game that directly rewards skill and it is only through mastery of those skills that one may best the Rajang. We assure you, you have not lived until you’ve fought a Rajang, and once you’ve beaten it, that sense of satisfaction is what makes Monster Hunter special. So what other monsters are you hoping to see in Monster Hunter World? Maybe you like the memesters like Yian Kut-Ku and Plesioth? Or maybe you’d like obscure ones to make a return like the Hypnocatrice? Let us know in the comments below! Previous Post Cosers Confess: I want to crossdress! Next PostHere’s Our Vote For The Best Anime of 2017! 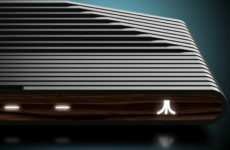 Just what on Earth is an Ataribox / Atari VCS?